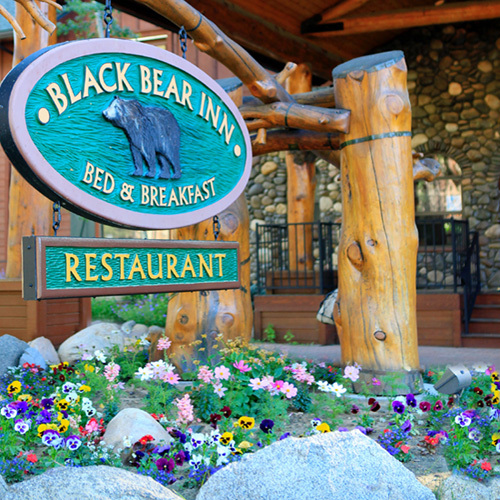 Named one of the top 10 B&Bs in California in 2004, Black Bear Inn is a new structure that was inspired by some of the West's great lodges. 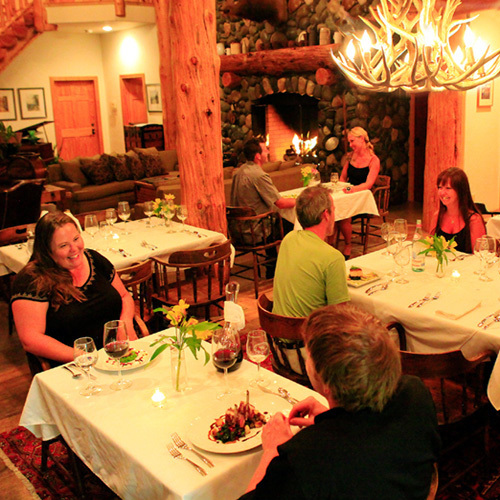 Black Bear Inn captures their majesty and rustic style on a more intimate scale by incorporating hand-hewn log trusses, natural stone and vaulted ceilings. 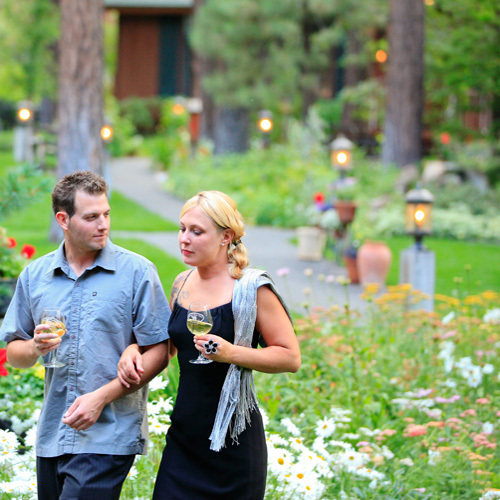 The main lodge and three cabins that make up this romantic retreat offer luxury accommodations in an intimate mountain setting on a wooded acre in South Lake Tahoe. The inn and grounds have been used as a site for two television shows and several catalog shoots. 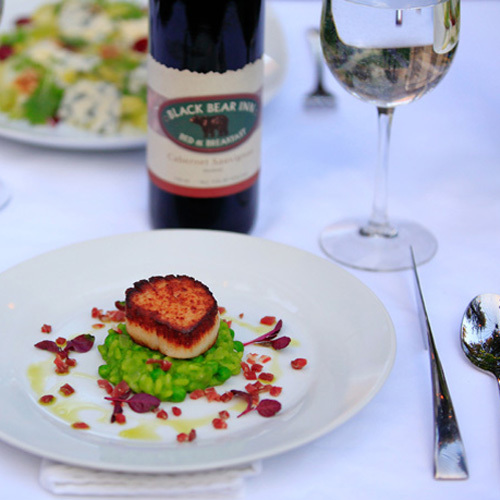 The Restaurant at Black Bear Inn is open to the public and offers patrons an extraordinary culinary experience. 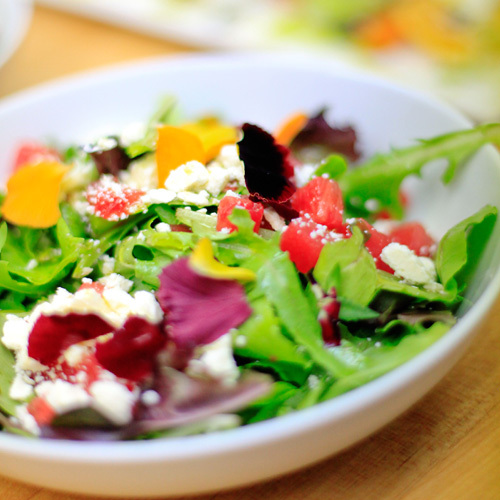 This dinner menu is revised each month to take advantage of seasonal produce, always with an eye on local and organic suppliers. 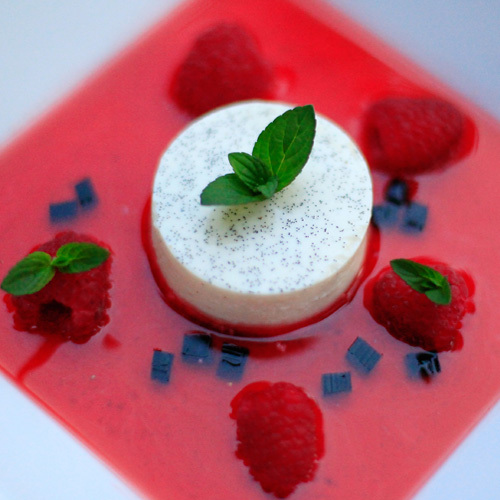 Chef Alex has a passion for the artistic and his imaginative use of ingredients fuses old school technique with surprising, delightful twists. 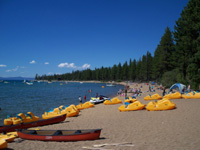 Tahoe's vast world of natural beauty awaits you: exquisite granite peaks, lakes and forest land combine to create the perfect backdrop for golf, hiking, biking, swimming and horseback riding. In wintertime, ski one of Tahoe's world-class ski resorts, then return to your home base and unwind in the sheltered hot tub while watching the snow quietly fall through the pines. 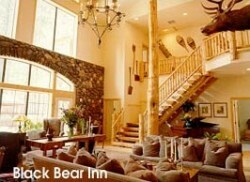 The main lodge has five generous guestrooms, all decorated in a style best summed up as Rustic Mountain Elegance. 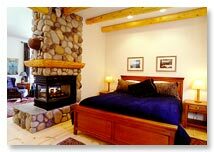 Each lodge room has a private bath, gas fireplace, king bed, TV/DVD and telephone. Each room is different: some have a balcony; some have a more formal look while others are more rustic in style. 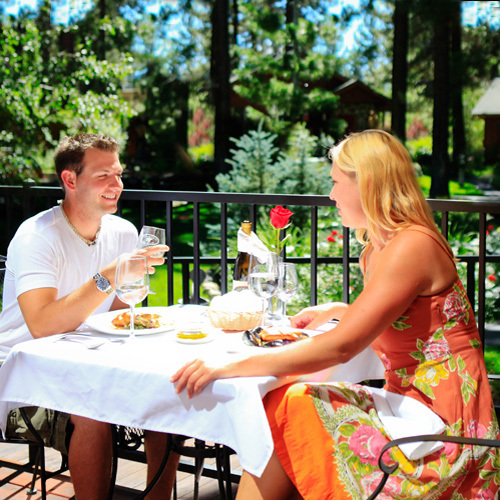 Rates range seasonally from $200 to $255 per night, including a full, hearty breakfast. Three cabins sit out back among the trees. Each cabin has all the amenities of the lodge rooms but also includes a kitchenette so your breakfast can be delivered if you wish. The Bonanza Trail cabin is a duplex cabin that houses the Stagecoach and Black Bart rooms. Each room has a separate entrance and there is no adjoining door. These rooms are done in a more primitive style than the lodge rooms. 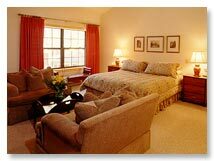 The rate for each room is $275 per night. Each guest room sleeps two people. The inn is not an appropriate place for children under the age of 16. The Snowshoe Thompson cabin is our luxury cabin. At 850 square feet, it is made for just two people. It has log beams in the bedroom and kitchenette ceilings, and the ceiling in the living room is vaulted. The three-sided fireplace can be seen from the bed and the living room. The Snowshoe has the largest bath at Black Bear, which includes a jacuzzi tub for two. The rate is $425 per night. The Sutter is a two bedroom/one bath cabin measuring 900 square feet. This cabin has a homey appeal with a river rock fireplace and one wall done in barn wood. The rate is $450 per night. Street: 1202 Ski Run Blvd.